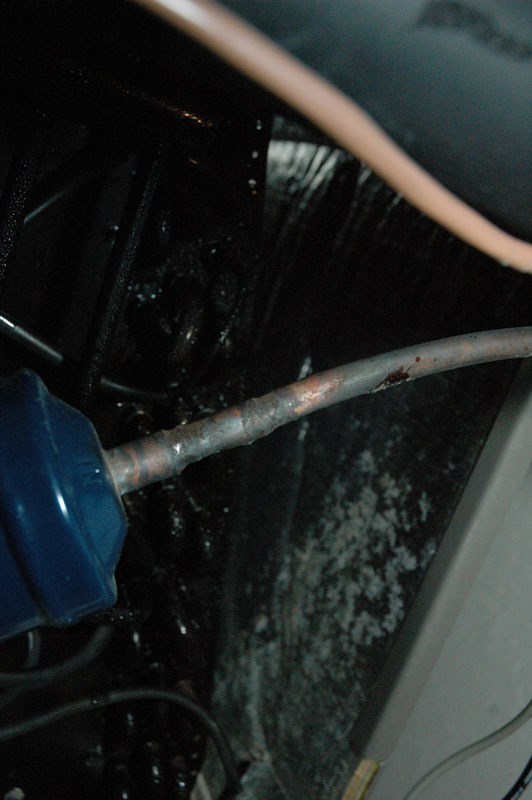 This revision of the 03-31-09 Case Definition reflects our current understanding of this emerging problem and the results of recently released information regarding corrosive drywall testing. The sole purpose of this case definition is to help identify homes that are affected by corrosion associated with drywall emissions. The case definition is NOT intended to evaluate the health risks for occupants or to evaluate occupant exposures to corrosive emissions. 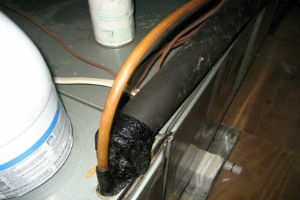 This case definition is NOT regulatory in nature or required to be used by those inspecting homes. 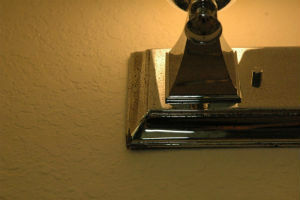 This case definition is provided to the public for informational purposes only and its use is strictly voluntary. Adoption of this case definition for purposes beyond its intended use is at the risk of the user. 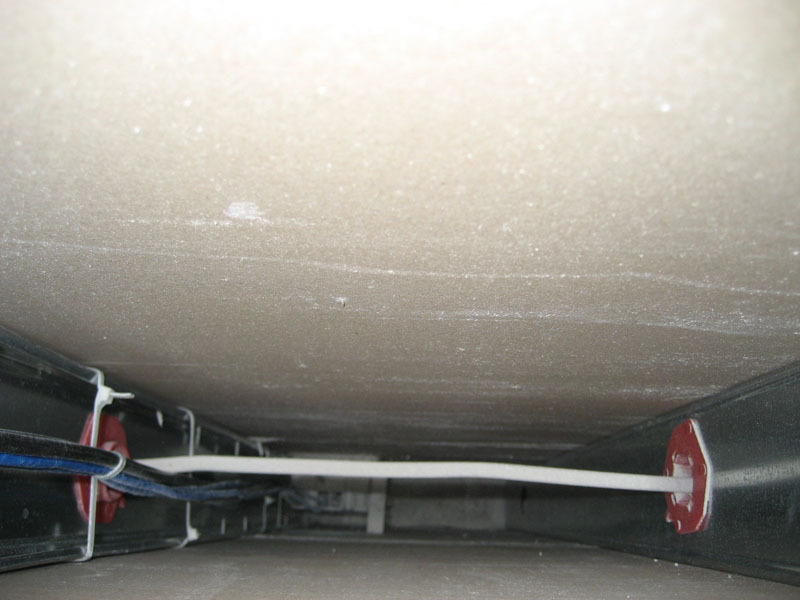 Criteria to demonstrate that a home is not affected by corrosive drywall emissions may require a different approach and inspection criteria that are not described in this document. 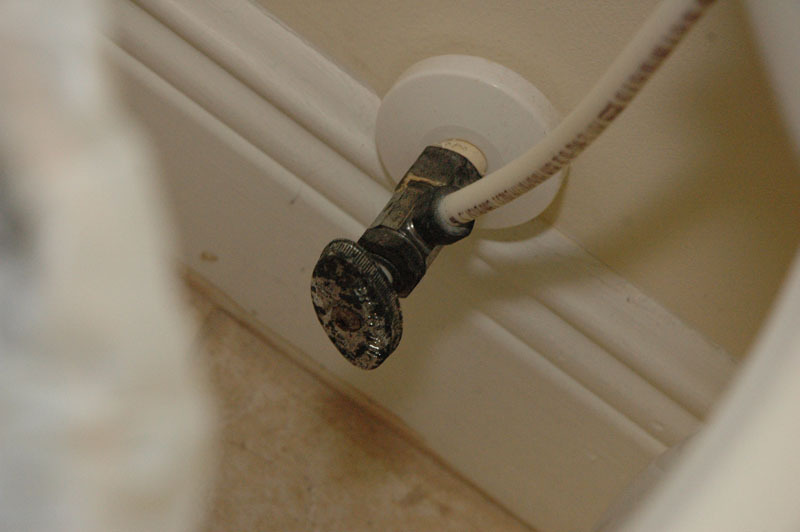 This version of the case definition enables the user to rank homes as a possible, probable, or confirmed case. Homes that exhibit the sentinel indicators of drywall associated corrosion are defined as possible cases. 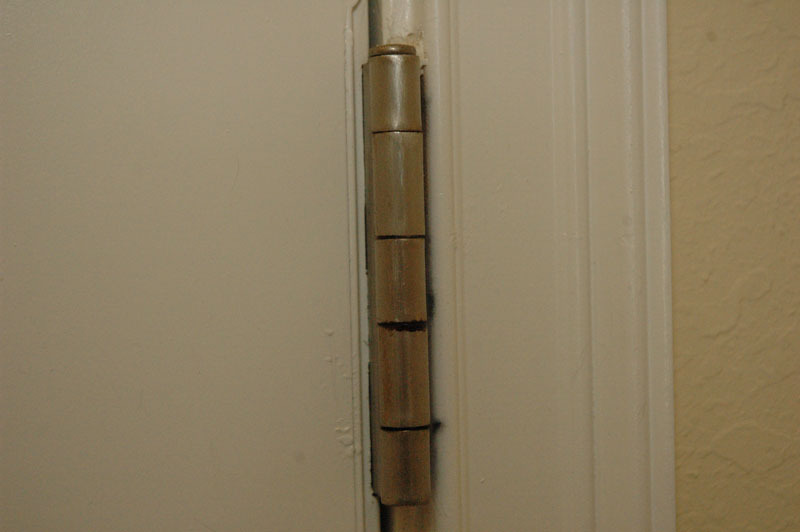 All three sentinel indicators of Criteria 1 must be met for the home to be considered as a possible case. 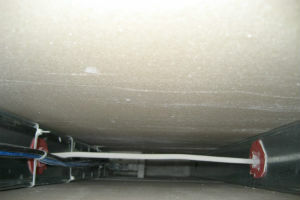 Criteria that define a probable or confirmed case are described in later sections. 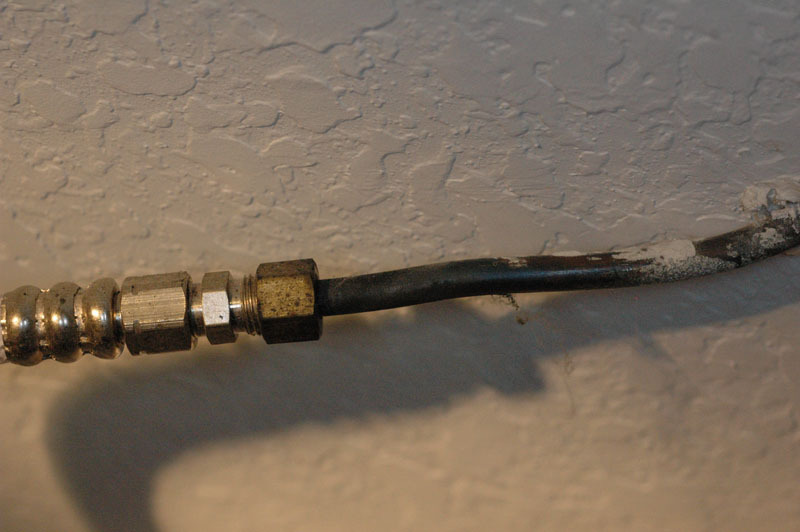 Prior to embarking on efforts to remediate the home, one should perform sufficient evaluation to ensure the criteria for “confirmed case” are met and rule out confounding factors. 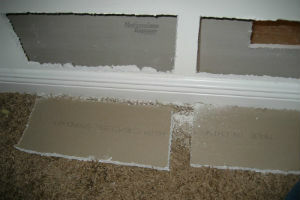 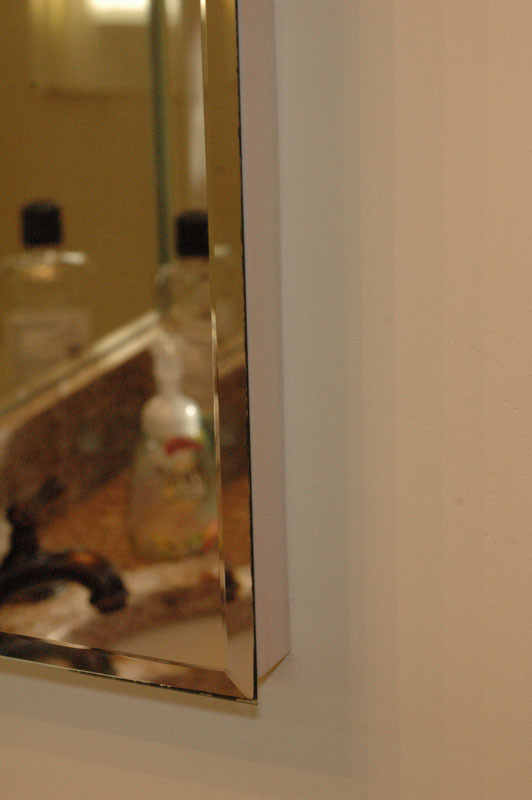 Use of odors as an indicator of drywall associated corrosion is limited. 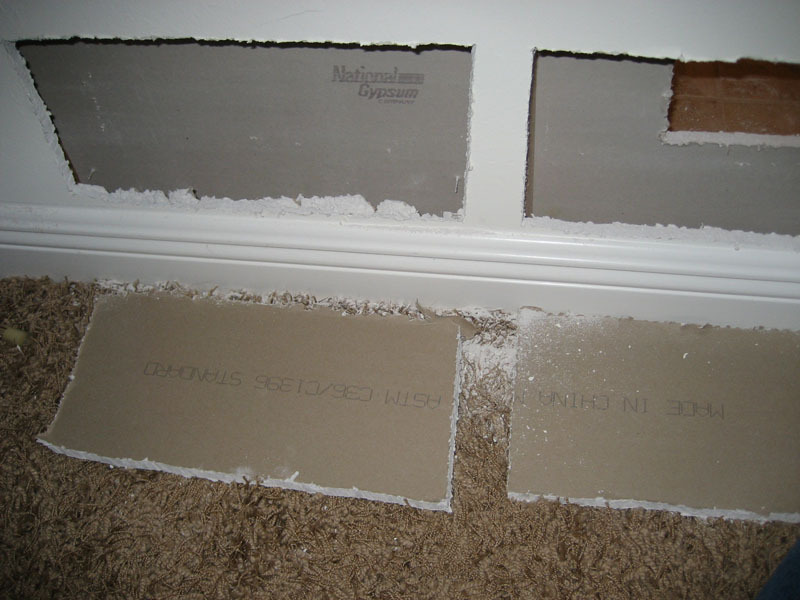 Odors have not been reported in all homes exhibiting drywall associated corrosion. Occupant reported health symptoms have limited use in identifying homes with drywall associated corrosion. 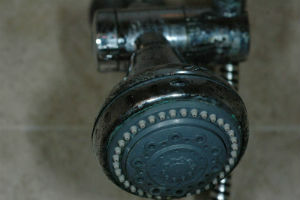 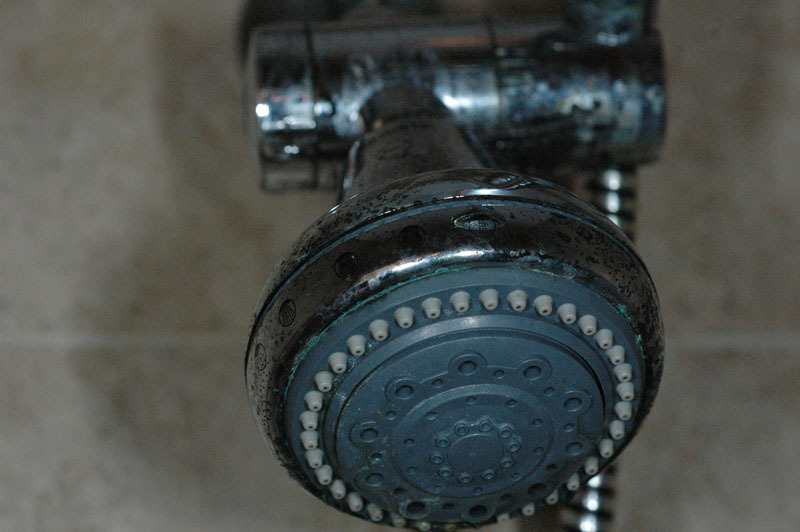 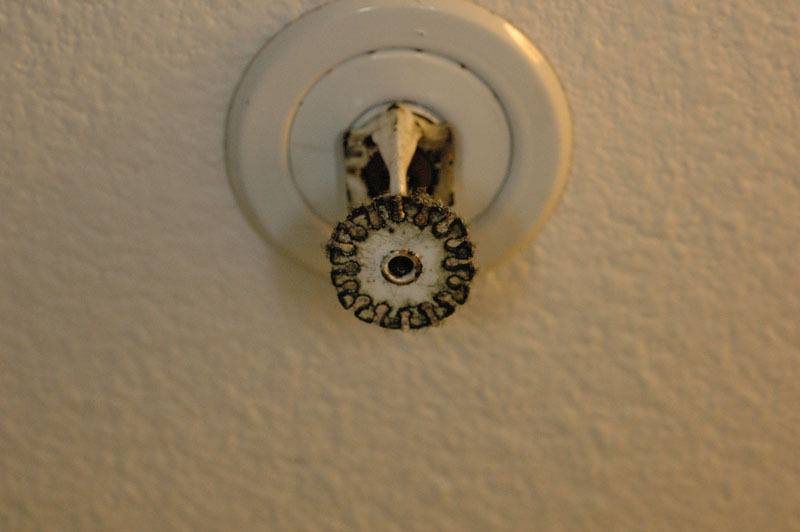 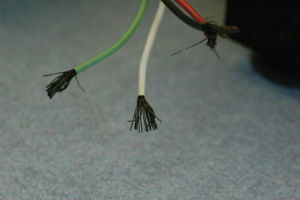 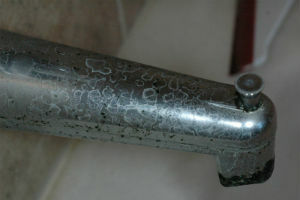 The symptoms reported by occupants are not unique or consistent across affected homes. 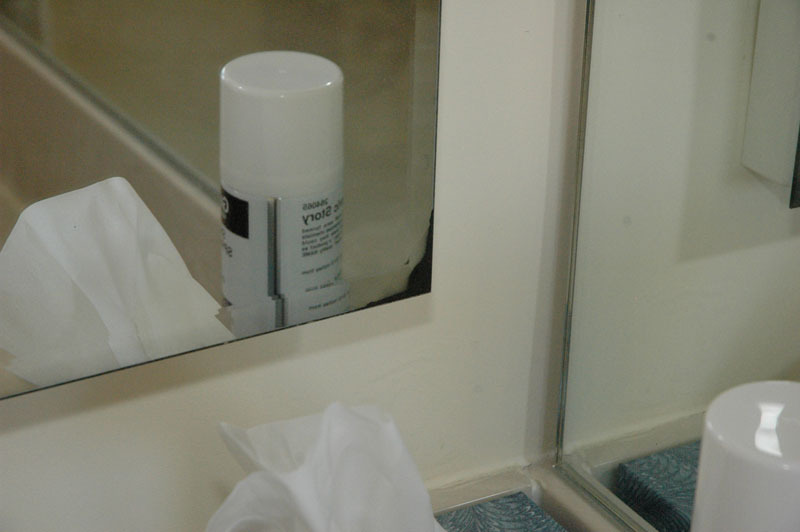 Documenting the presence of odors and/or occupant symptoms may be important to public health agencies, but their relationship to the presence or absence of drywall associated corrosion in homes remains unclear. 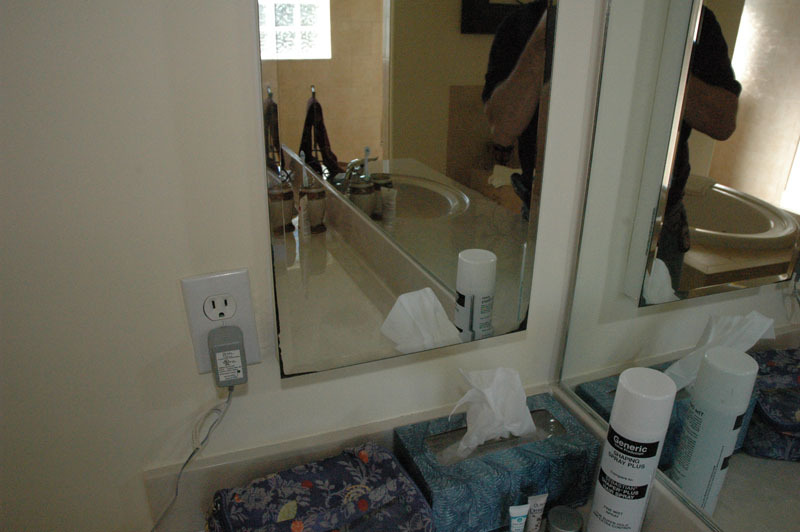 The home was constructed or renovated with new drywall since 2001. If you have answered yes to all three of the above indicators, the home meets the criteria for “possible case”. 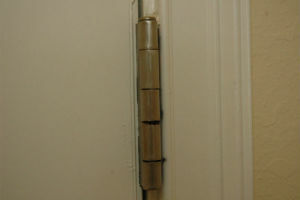 Continue to Criteria 2 or 3 only if home meets the criteria for “possible case”. 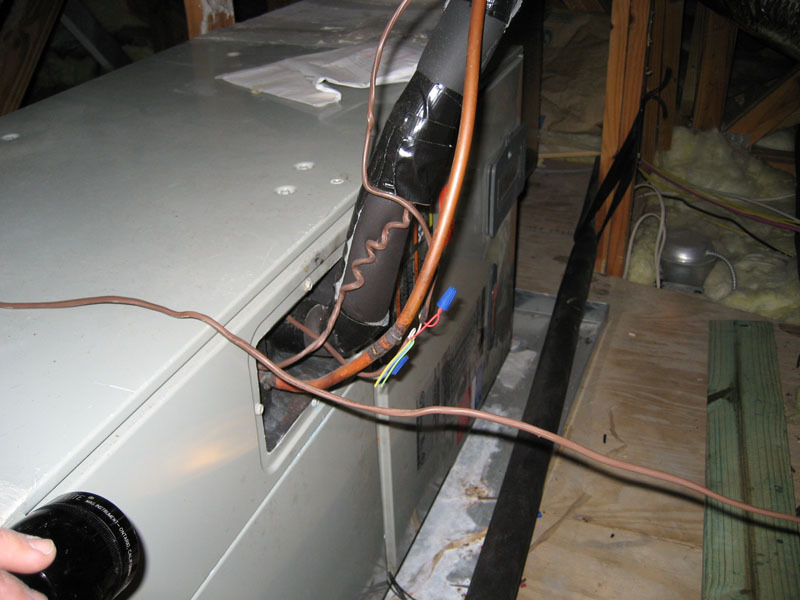 Trained professionals performing home assessments based upon this case definition should use their experience, training, and professional judgment to establish their inspection procedures and sampling strategies. 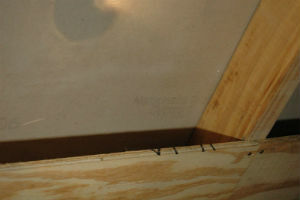 Professional judgment is necessary to determine the number of samples and weight of evidence needed to meet each set of criteria. 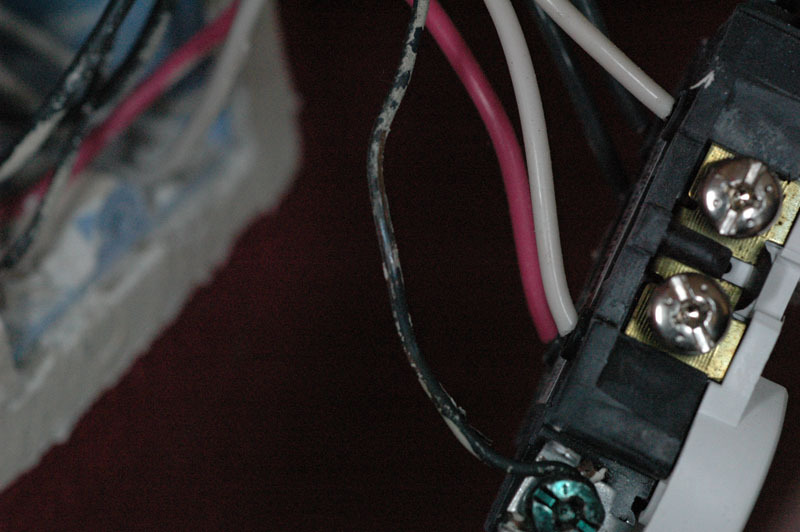 A trained professional, not the homeowner, should conduct inspections and testing described in Criteria 2 and 3. 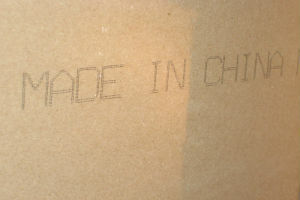 Observed markings on the back of drywall indicating the country of origin is China. 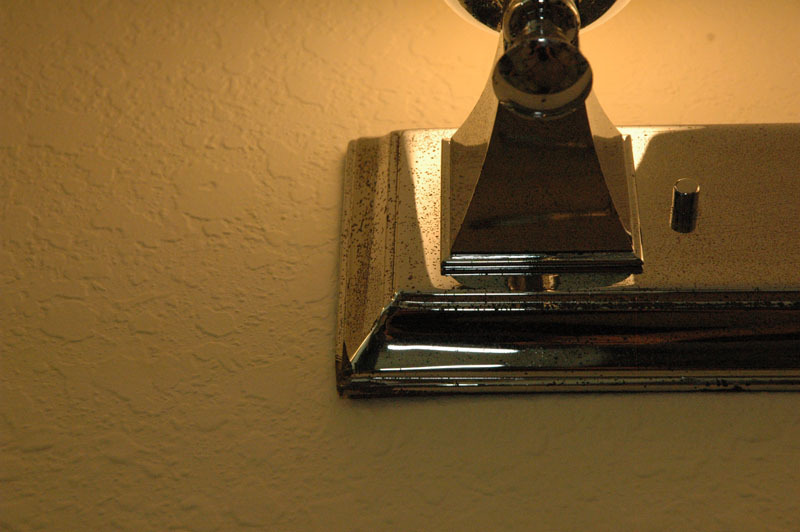 If you have met the criteria for “possible case” and answered yes to at least one of the above indicators in Criteria 2, the home meets the criteria for “probable case”. 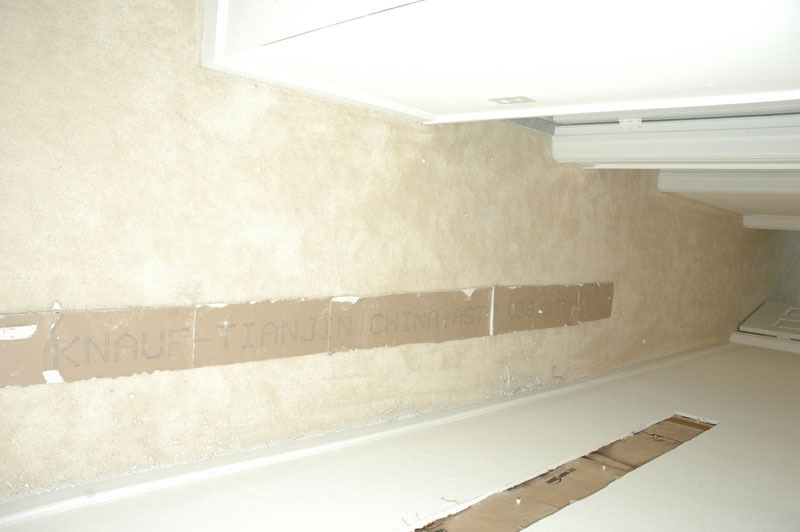 These criteria do not confirm that the drywall causes corrosion. 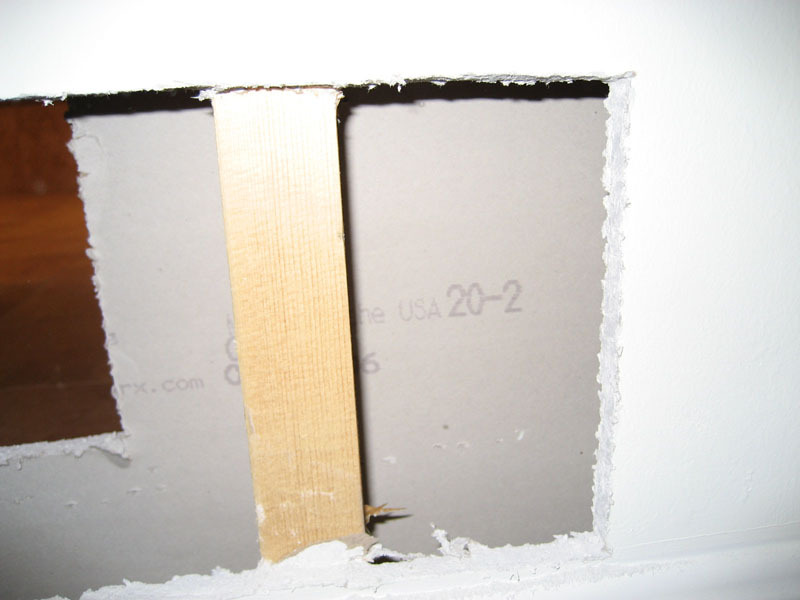 Identifying the origin of the drywall is considered a screening tool for suspect drywall, but confirmation requires analysis described in Criteria 3. Laboratory analysis of suspect drywall headspace for reduced sulfur gas emissions (H2S, COS, CS2) indicating drywall samples from the home emit reduced sulfur gasses capable of causing copper corrosion. Analytical methods commonly used for this include GC/SCD.6 Results that are indicative of corrosive drywall must be established by each laboratory based upon internal procedures, comparison to control samples, and validated methods.Qualitative analysis of suspect drywall for its ability to cause corrosion/blackening of copper under controlled conditions, indicating drywall samples from the home emit gasses capable of corroding copper. 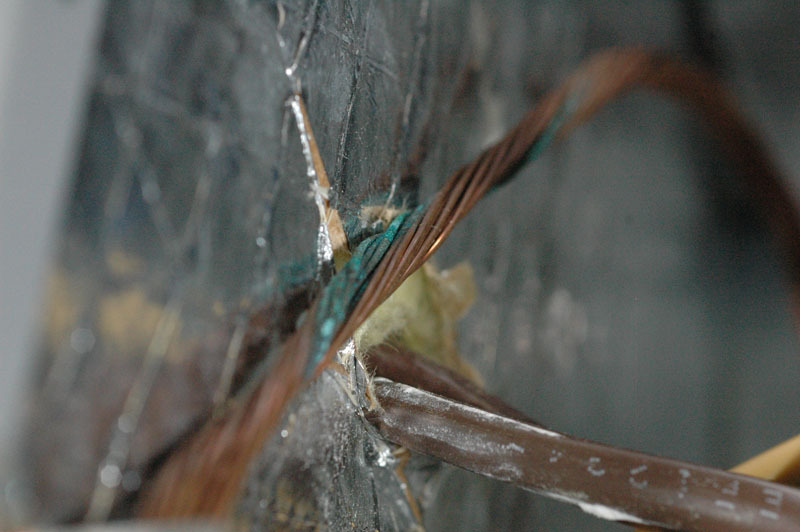 Results that are indicative of corrosive drywall must be established by each laboratory based upon internal procedures, comparison to control samples, and validated methods. 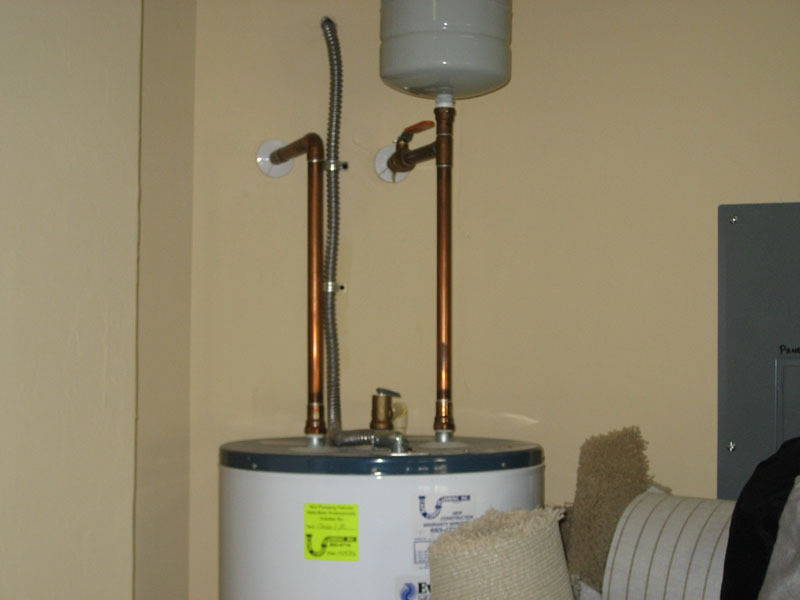 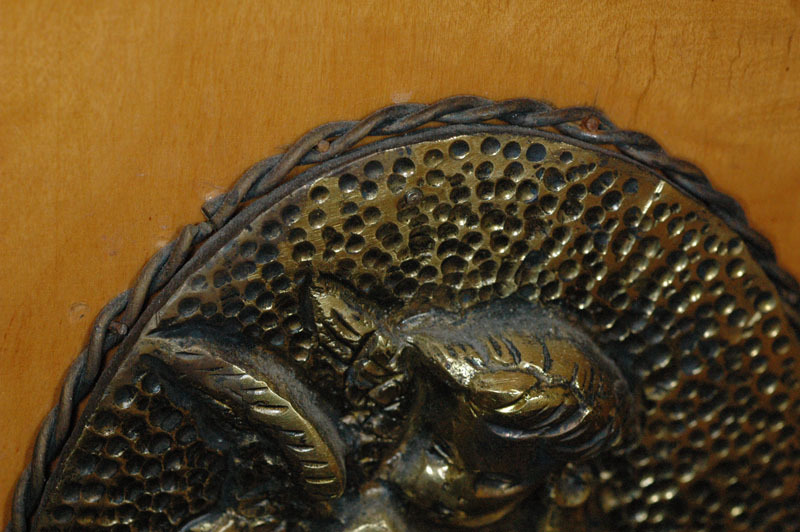 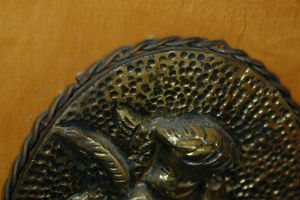 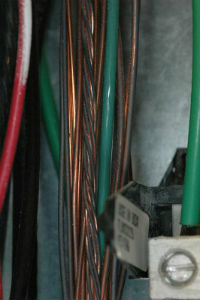 If you have met the criteria for “possible case”, ruled out other sources of hydrogen sulfide as significant contributors to copper corrosion in the home, and receive positive results on a sufficient number of samples from one or more of the above evaluations in Criteria 3, the home meets the criteria for a “confirmed case”. 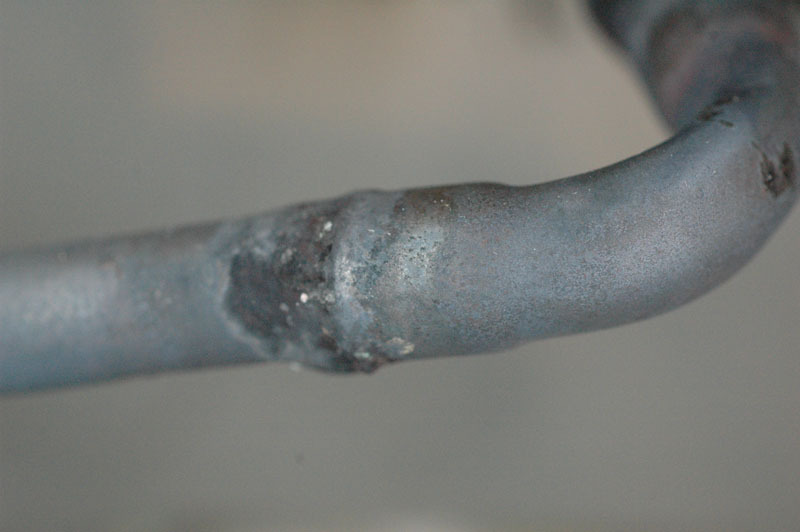 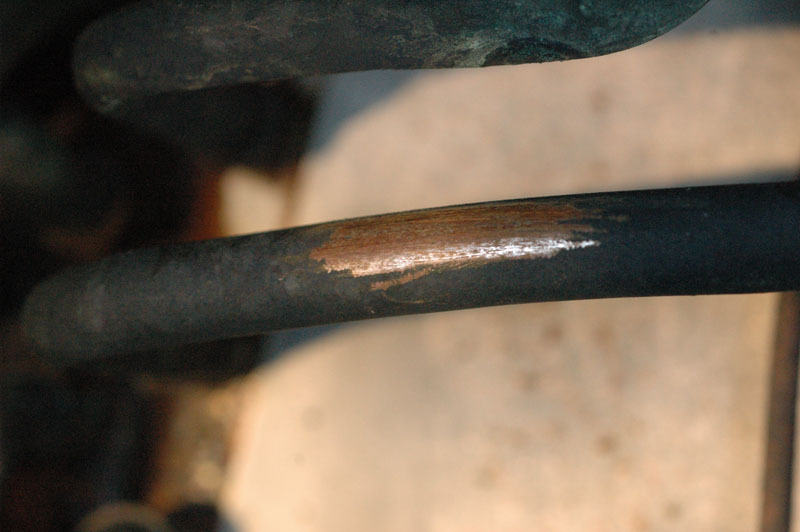 Some confounding factors that should be excluded as causes of observed corrosion are hydrogen sulfide from well water, sewer gas, or soil gas. Un-insulated copper pipe1 leading to the air handling unit with signs of blackening corrosion. 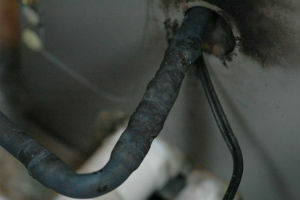 Un-insulated copper pipe2 leading to the air handling unit with signs of blackening corrosion. Un-insulated copper pipe3 leading to the air handling unit with signs of blackening corrosion. 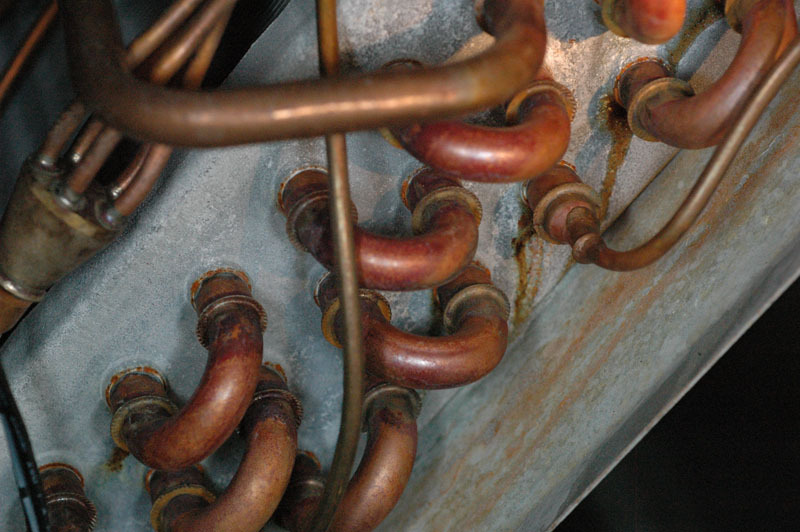 Un-insulated copper pipe4 leading to the air handling unit with signs of blackening corrosion. 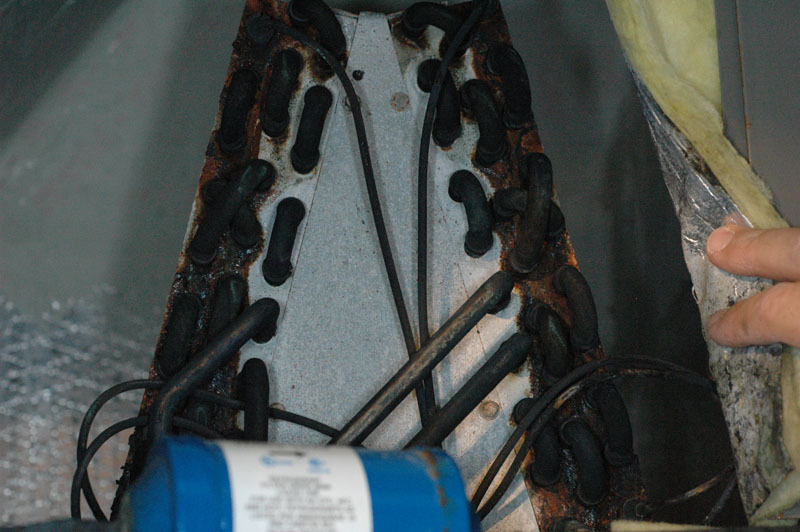 Un-insulated copper pipe5 leading to the air handling unit with signs of blackening corrosion. 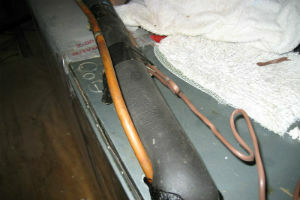 Un-insulated copper pipe1 leading to the air handling unit with no signs of blackening corrosion. 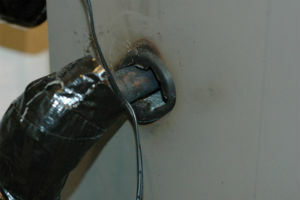 Un-insulated copper pipe2 leading to the air handling unit with no signs of blackening corrosion. Un-insulated copper pipe3 leading to the air handling unit with no signs of blackening corrosion. Un-insulated copper pipe4 leading to the air handling unit with no signs of blackening corrosion. Evaporator coil1inside the air handler unit showing blackening corrosion of copper. 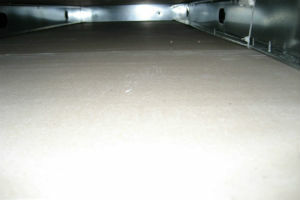 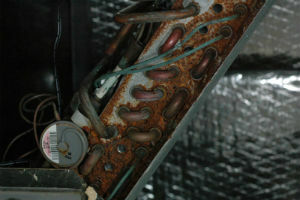 Evaporator coil2 inside the air handler unit showing blackening corrosion of copper. Evaporator coil3 inside the air handler unit showing blackening corrosion of copper. 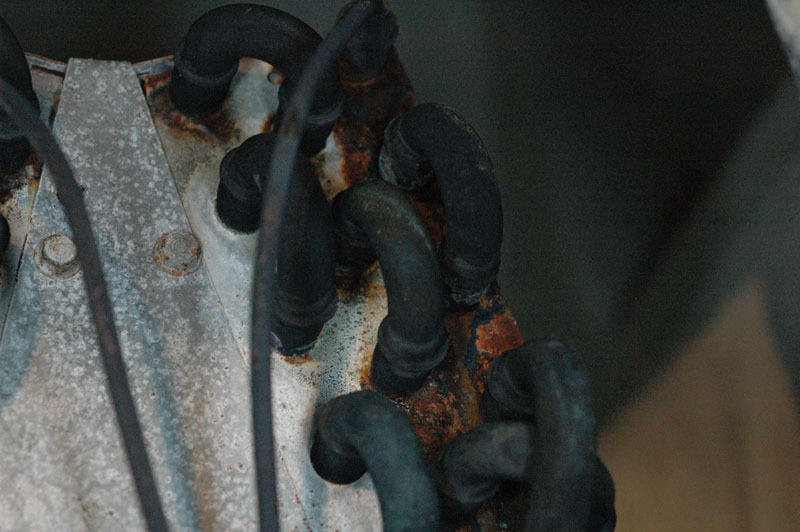 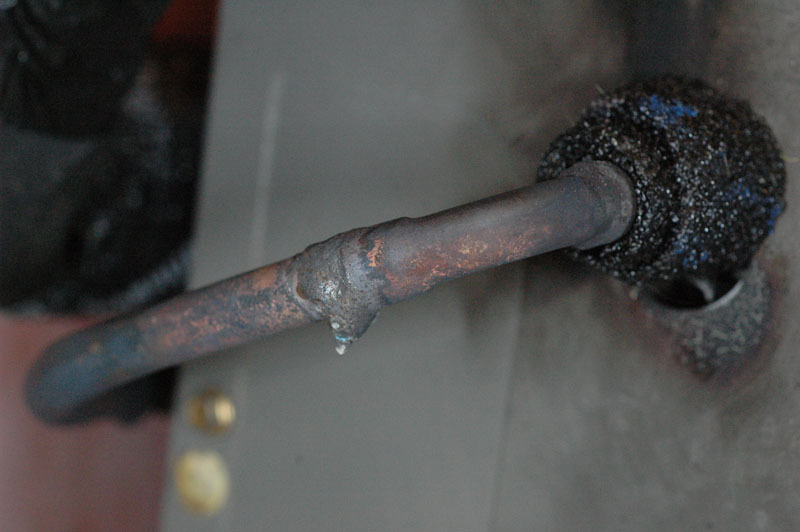 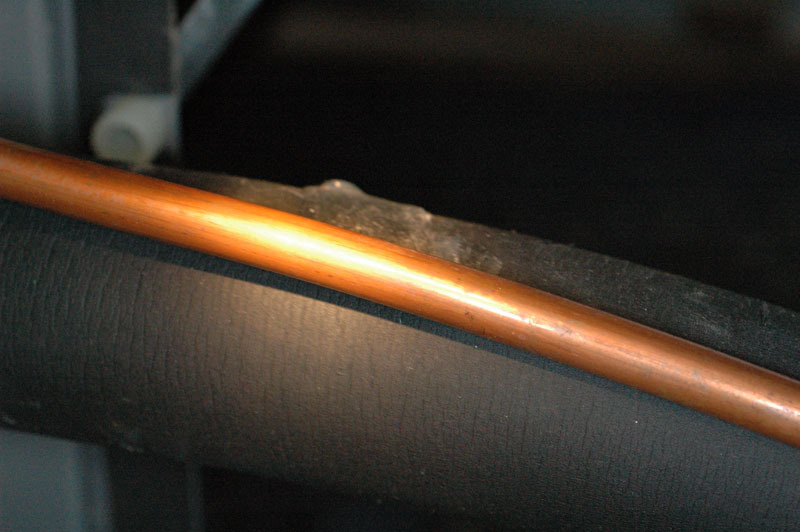 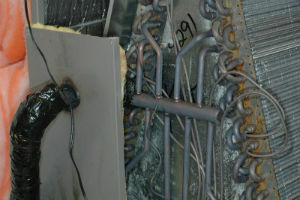 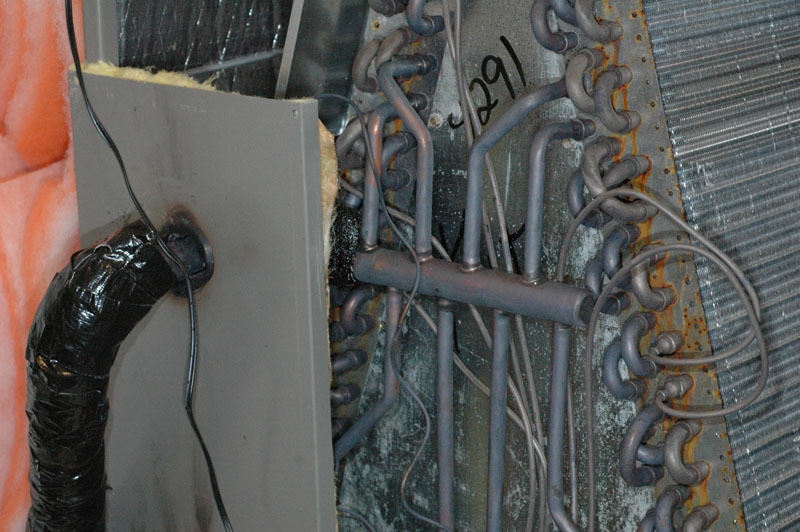 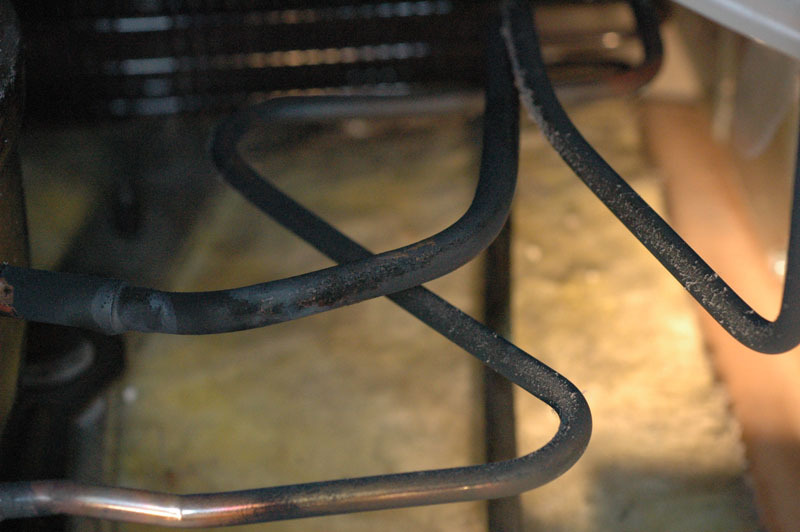 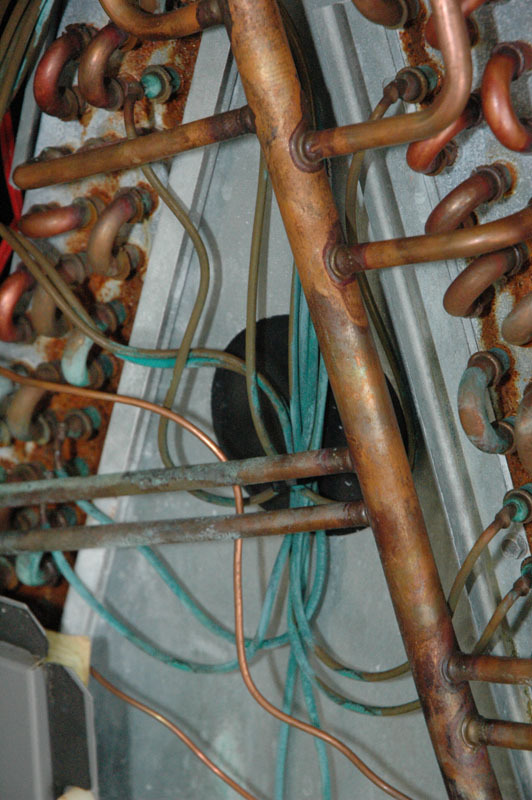 Blackening corrosion on copper tube of the evaporator coil inside the air handling unit. 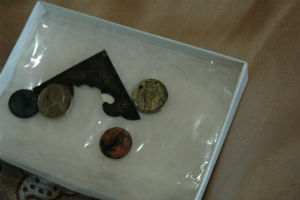 Some corrosion has been removed showing un-corroded metal. 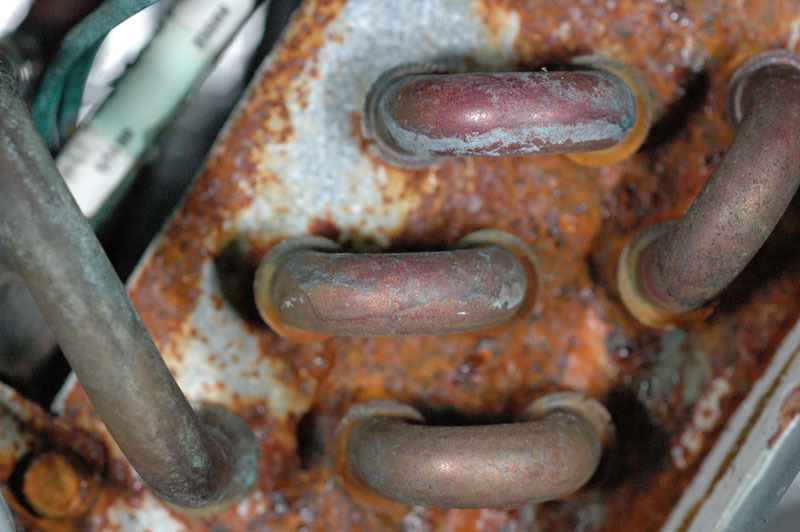 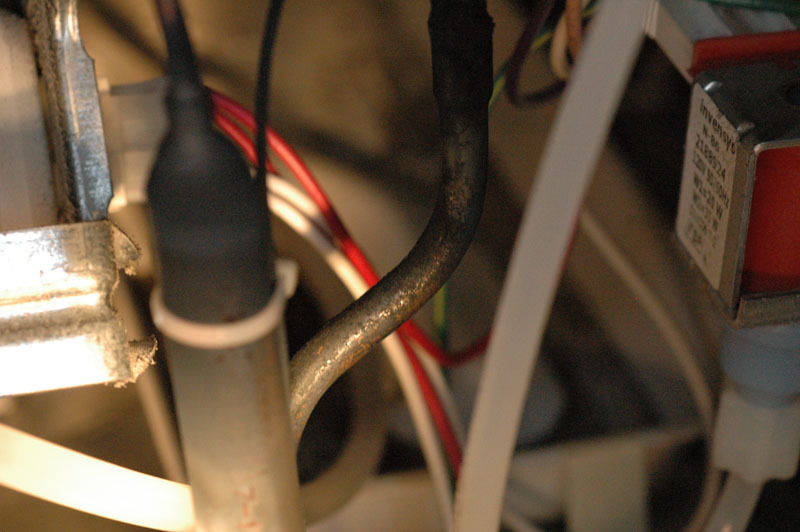 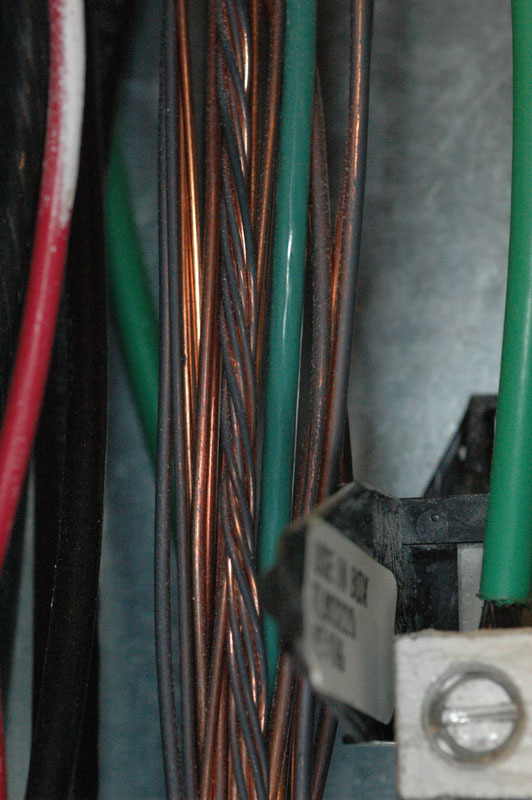 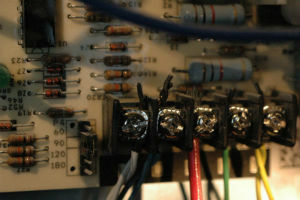 Evaporator coil showing blue/green and dark red patina on copper tubing and dark orange rust on other metals. Mirror1 showing a slight darkening of the edges. Mirror2 showing significant darkening of the edges. 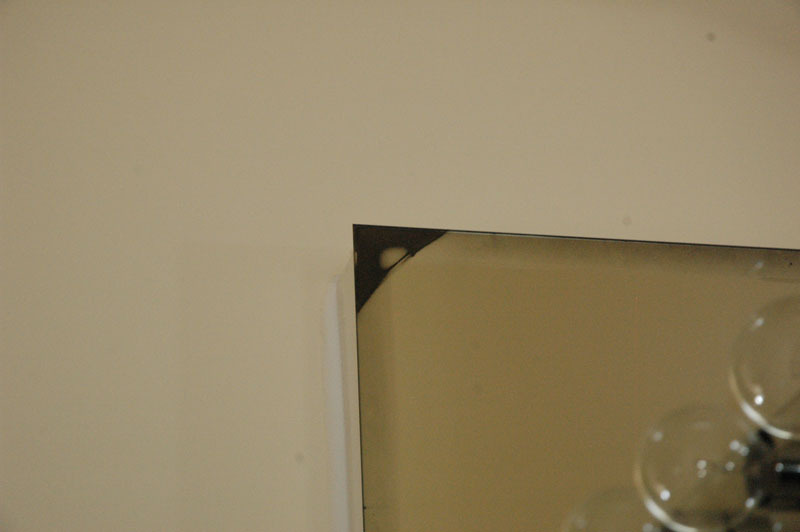 Mirror3 showing significant darkening of the edges. Mirror4 showing significant darkening of the edges. 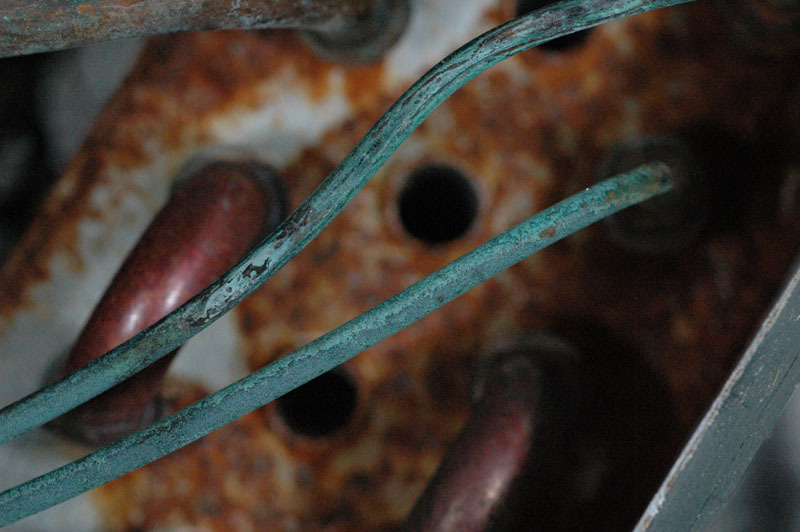 Blackening corrosion1 on copper tubes of a refrigerator. Blackening corrosion2 on copper tubes of a refrigerator. Blackening corrosion3 of a copper water tube leading to a refrigerator. 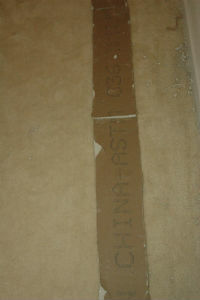 Drywall with "CHINA" markings on a piece of drywall Cut from a wall cavity. 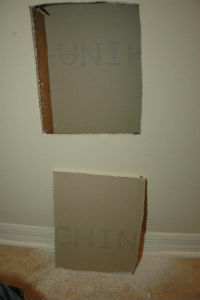 Cutpieces of drywall with "KNAUF - TIANJIN CHINA ASTM C36" markings visible. 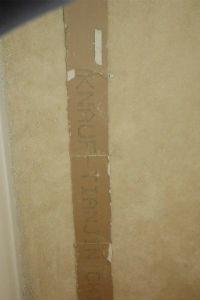 Cut pieces of drywall on floor with "KNAUF - TIANJIN" markings visible. 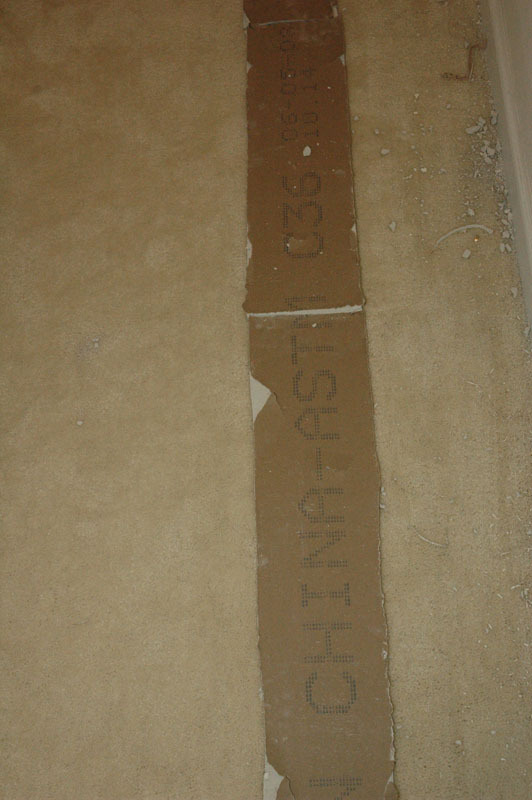 Cut pieces of drywall on floor with "CHINA-ASTM C36 06-05-03, 10.14" markings visible. 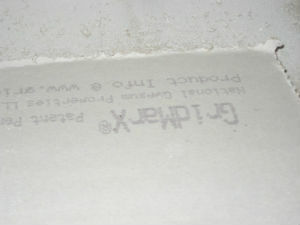 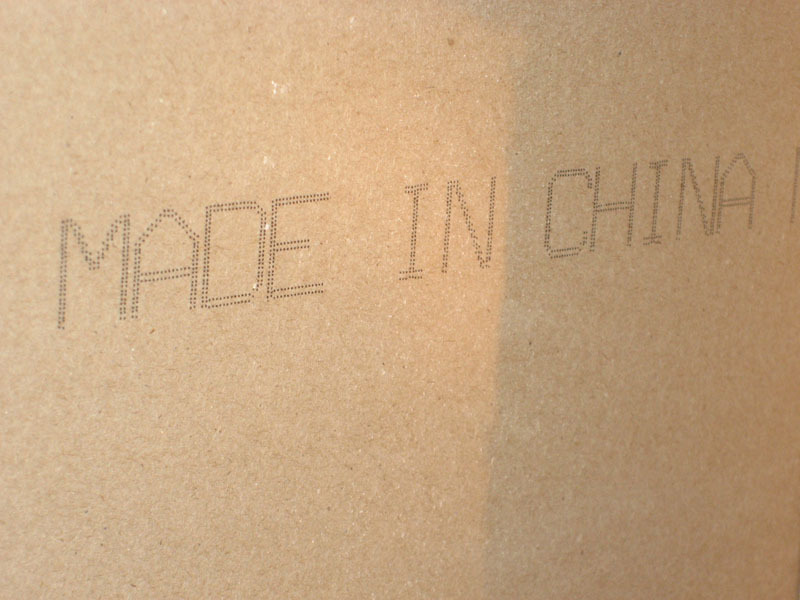 Drywall with "MADE IN CHINA"markings visible. 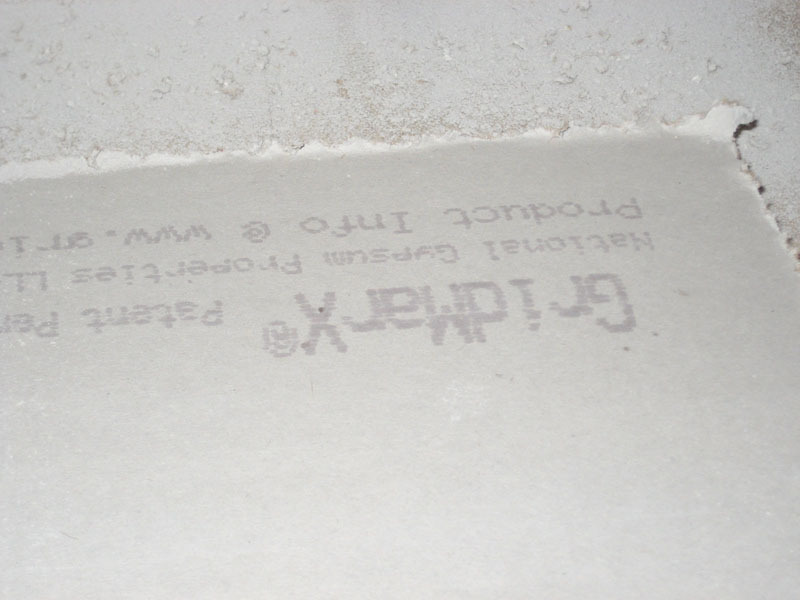 Photo illustrates that homes were found with both domestic and Chinese manufactured drywall marked "MADE IN CHINA ASTM C36/C1396 STANDARD". 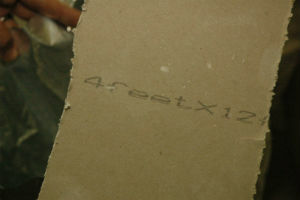 Cut piece of drywall with "4feet x 12feet" marking visible. The origin of this drywall was not determined. 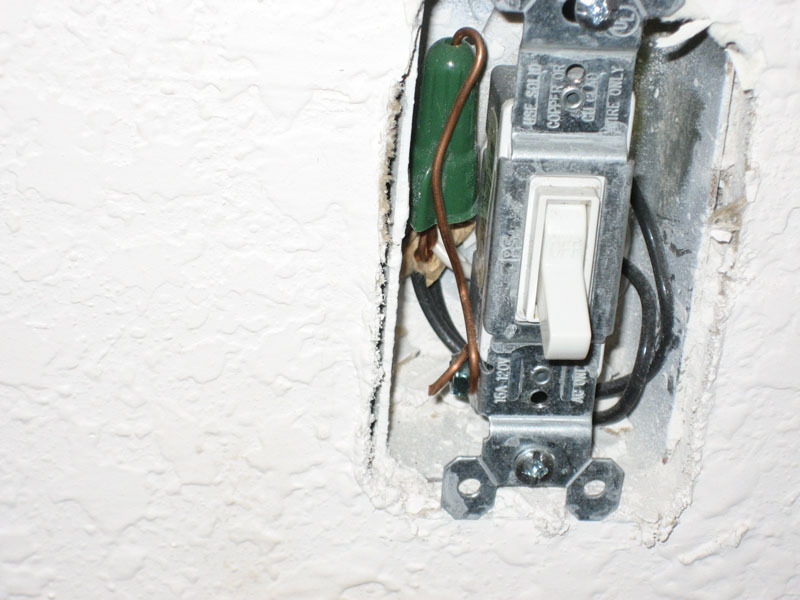 Drywall inside a wall with metal studs and coated wiring. 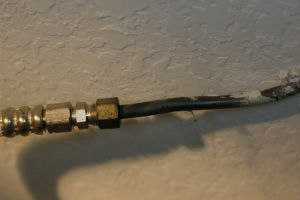 No markings are visible. 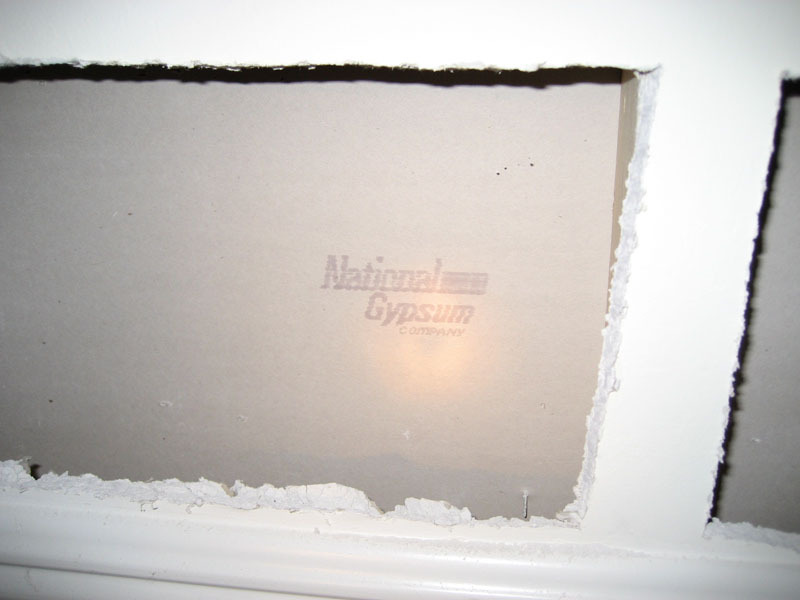 Drywall with National Gypsum markings in attic. 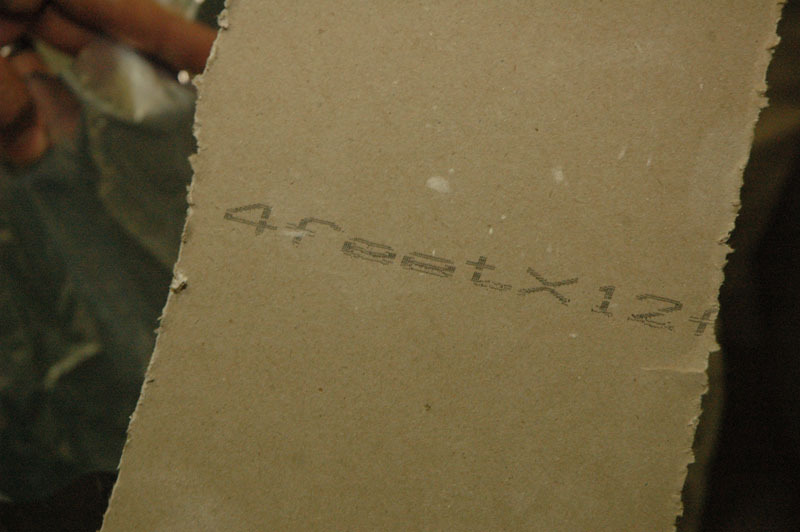 Drywall with GridMarX ®, National Gypsum markings. 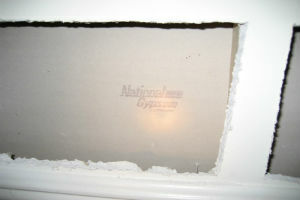 Drywall with National Gypsum markings in wall. 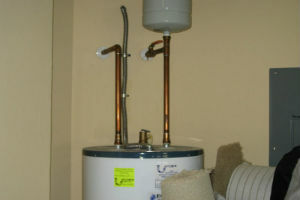 This page contains materials in the Portable Document Format (PDF). 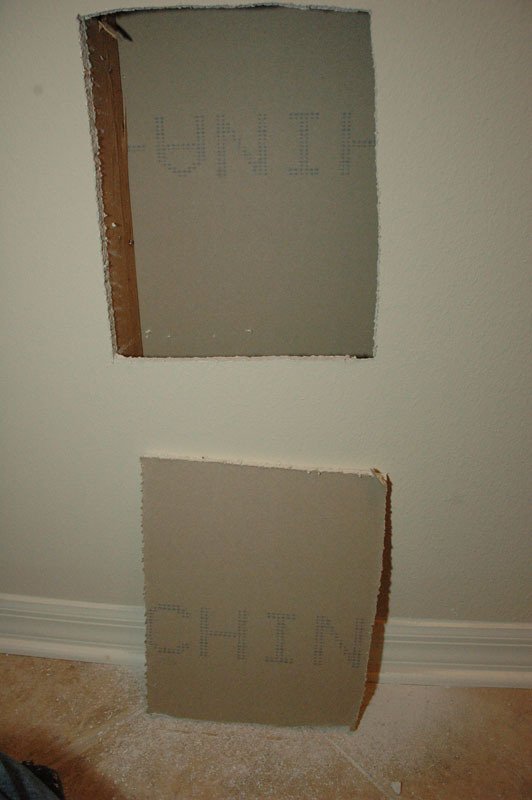 The free Adobe Reader may be required to view these files.